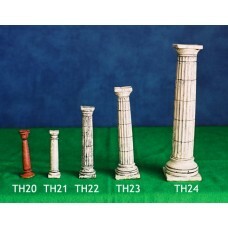 Ian Weekley Arab Dome Unpainted base 8cm Height 5.5cm ..
Ian Weekley Classic Doric Column 4" High Unpainted Base 1" ..
Ian Weekley Classic Doric Column 5" High Unpainted Base 1.5 " ..
Ian Weekley Classic Doric Column 7.5" High Unpainted base 1 &7/8" ..
Ian Weekley Classical Doric Column 3" High Unpainted Base 3/4" square ..
Ian Weekley Eastern Column 3" High Unpainted base 3/4" round ..
Ian Weekley Indian Dome 25mm No Knob Unpainted base 5.4cm x 5.4 cm Height 3cm ..
Ian Weekley Indian Dome 25mm Unpainted Base 5.4cm x 5.4cm Height 5cm ..
Ian Weekley Russian Church or Palace Large 15mm Unpainted Base 2cm, Height 5cm. ..
Ian Weekley Russian Church or Palace Large 25mm Unpainted Base 3cm, Height 7.5cm ..
Ian Weekley Russian Church or Palace Small 25mm Unpainted base 2cm, height 7cm. 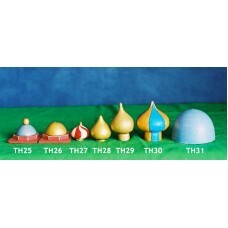 ..
Ian Weekley Russian Church or Palace15mm Unpainted base 1.5cm Height 3.5cm ..